A report in the Daily Telegraph on Monday 4 March highlighted the threat to the designated battlefield at Neville's Cross (1346) from a proposed western relief road for the city of Durham. The construction of the road has been proposed as part of the emerging County Durham plan. Durham County Council commissioned a report from a highly experienced and respected battlefield archaeologist on the impact of the relief road on the battlefield in advance of making the proposal. This assessment concluded that the battlefield may be further north than the area registered by Historic England and, if so, the relief road would have an impact on the battle site. [the road] would result in a change to the existing terrain creating physical and visual intrusion that may affect the interpretation and appreciation of the battlefield and how this is experienced. 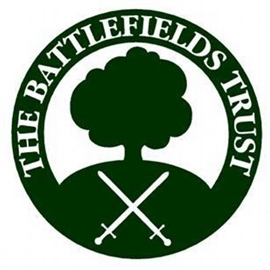 The Battlefields Trust has written to Durham County Council highlighting its concerns and calling for a full investigation of the battlefield area, including a review of the primary sources, historical landscape reconstruction and an archaeological survey to attempt to pinpoint with greater accuracy the battlefield location. With this information the County Council could review where the relief road should run to minimise (or preferably eliminate) any impact on the battlefield. The Trust is also intending to write to Historic England about the registration of the battlefield, asking that it considers extending the area to ensue its potential importance is properly considered.